Walmart Toy Academy: Top Toys Under $20 - Frugal Mom Eh! The countdown to Christmas 2017 is officially on and that means shopping for the kids in your life. Let’s face it, while Christmas shopping for kids has a lot of potential to be fun, it’s often overwhelming and frustrating. It all starts with trying to determine what your kids want for Christmas, which usually results in either vague answers or your 5-year-old reciting the names of every toy in existence. Then comes trying to track down that super hot toy your kid just can’t live without. This is all usually finished off with worrying that you didn’t actually end up getting them the perfect gift. 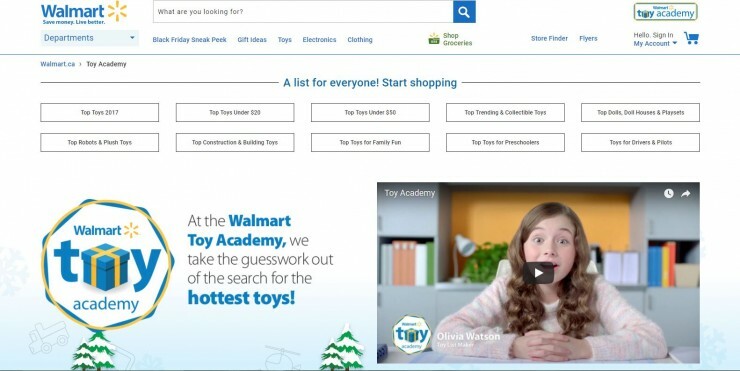 Start by visiting the Walmart Toy Academy and check out the lists, which include Top Toys of 2017, Top Toys under $20, Top Toys under $50, Construction & Building Toys, Trending & Collectible Toys, and Top Toys for Family Fun, among others. The Toy Finder app allows you to narrow your search further by age, price range and category. Talk about making it easy (and fun) for us parents to find the toys that will really put a smile on their faces by taking out the guesswork and stress. It’s such an easy way to choose a toy that is sure to be a hit. We were able to check out a few items from the Top Toys under $20 list to test out ahead of the holiday season. These toys are the perfect gifts for stockings and last minute fillers under the tree. 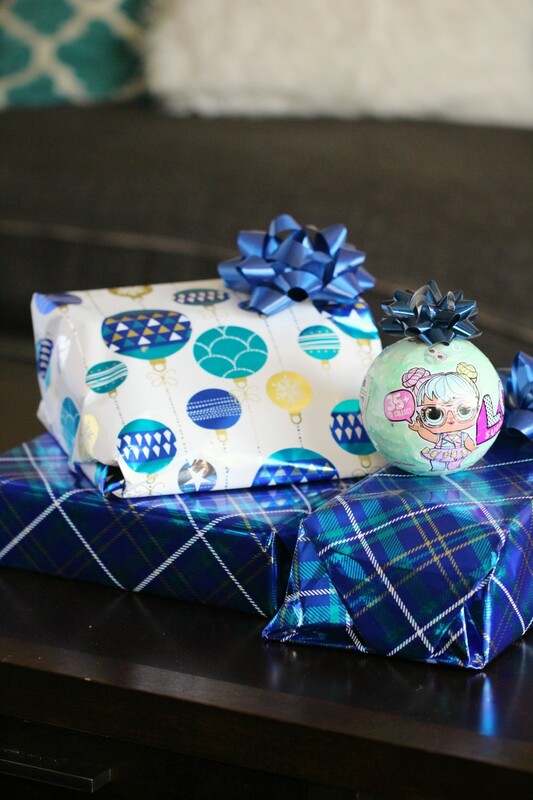 Check out the kids’ reactions when unwrapping their gifts! We were able to check out a few items from the Top Toys under $20 list to test out and play with ahead of the holiday season. These toys are the perfect gifts for stockings and last minute fillers under the tree. Check out the kids reaction while unwrapping their gifts! The girls had a load of fun unwrapping all 7 layers of the L.O.L. Surprise Tots Ball. The best part about these dolls is definitely all the anticipation leading up to the reveal. Of course, the fun doesn’t stop there as the girls love playing with the little dolls. The last reveal is helping her “drink” water and finding out if she cries, pees or changes colour! These are fun little toys that work perfectly as stocking stuffers. It’s Marshall to the ruff-ruff rescue! 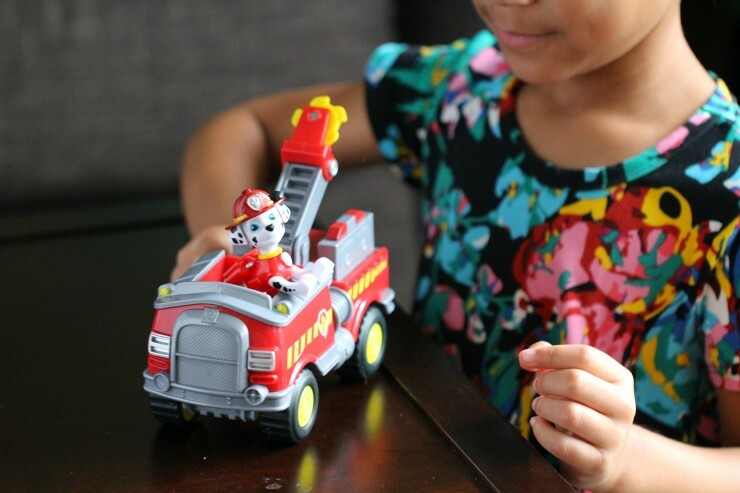 Spring into action with Marshall and his Fire Fightin’ Firetruck to save the day! This pup and vehicle combination is loaded with real working wheels and a moveable ladder. Get fired up with Marshall and the rest of the PAW Patrol by collecting the entire line of PAW Patrol vehicles. Together, your child’s imagination will be lit up with pup inspired rescue missions full of friendship, teamwork and bravery. Choose from Chase, Zuma, Skye, Rocky and Rubble, each with their own unique transformation! No job is too big, no pup is too small. 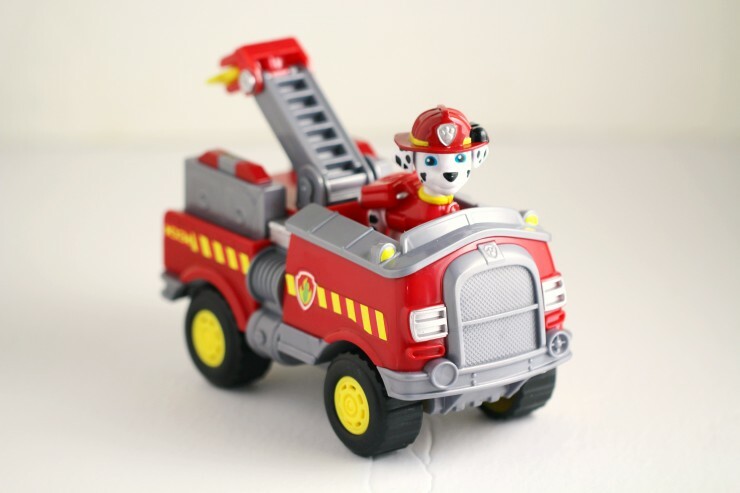 Save Adventure Bay with Marshall’s Fire Fightin’ Truck and then collect them all. Both of my girls love the PAW Patrol TV show, so these vehicle sets with characters were a huge hit with them. They love rolling the trucks around and creating their own stories with the pups. 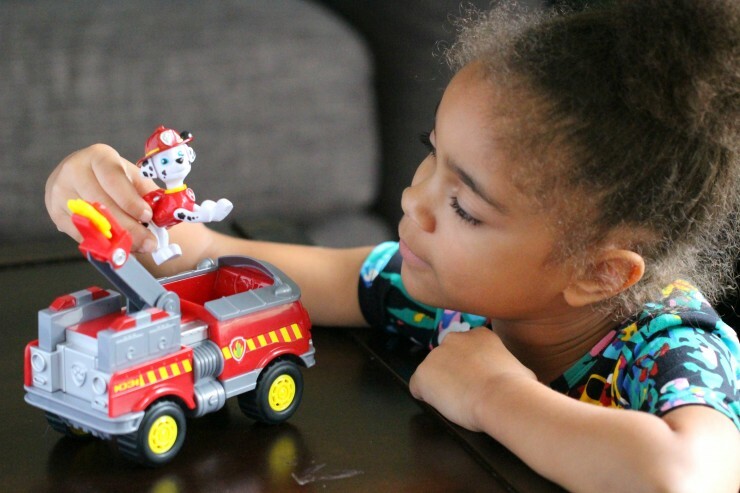 The moving parts on both the vehicle and pups really make this toy a huge hit for PAW Patrol fans. Bring the adventures of PJ Masks home with this awesome 5-piece PJ Masks Collectible Figure Pack! Each character is detailed to look just like your kids favourite PJ Masks characters and stands at 3 inches tall. 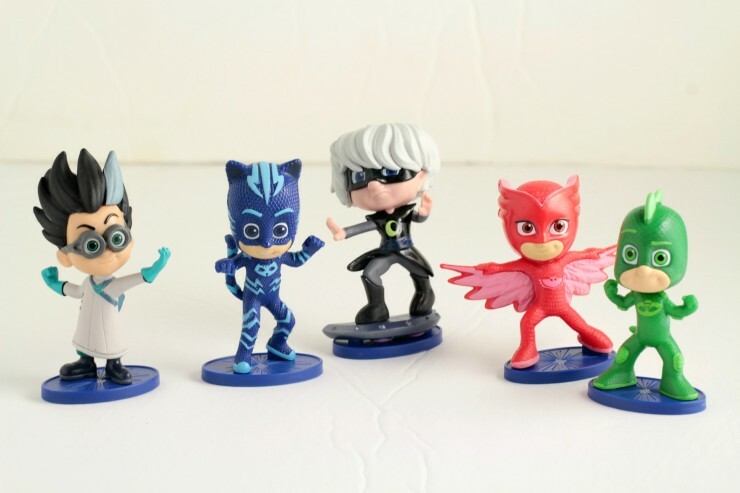 This deluxe pack features Catboy, Owlette, Gekko, Luna Girl and Romeo in dynamic action poses. Perfect for play and display! 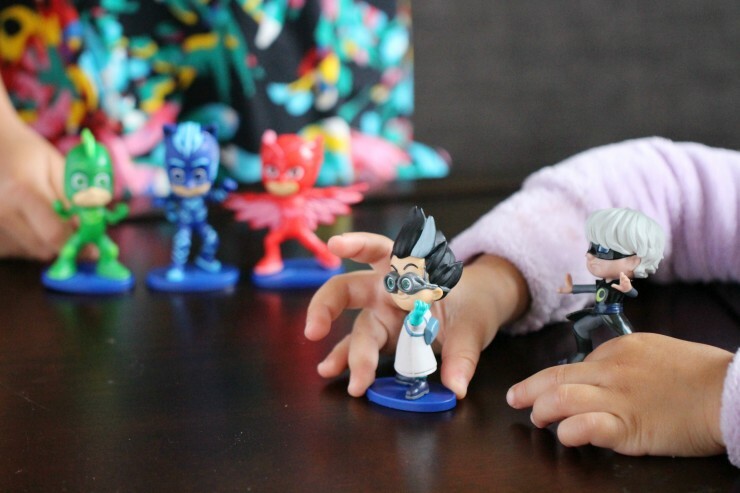 PJ Masks is another show that the girls are both in love with, so they were super excited to be able to play with these figures and act out their own storylines together. The Shoppies have shopped ’til they dropped in Shopville and now they are heading home to Happyville! Happy Places is a miniature range of super cute Petkins furniture and accessories who live with Lil’ Shoppies in Happyville. Kids will find everything they need to create their own Happy Place. Rosie Bloom blossoms in her Puppy Patio garden. Adoring the great outdoors is what puts a smile on Rosie’s face. Relaxing in the sun, she loves to decorate her Puppy Patio with nature to create an outdoor room that really blooms! Kids get to make a happy home with this adorable Shopkins Puppy Patio Welcome Pack featuring adorable puppy themed patio furniture made with the iconic Shopkins styling that everyone loves! Shopkins Puppy Patio Pack includes 13 pieces of Petkins furniture to add to the collection plus 2 tiles and the Lil’ Shoppie figure who loves gardening. Collect them all to fill your house with lovable themed furniture with other welcome packs. 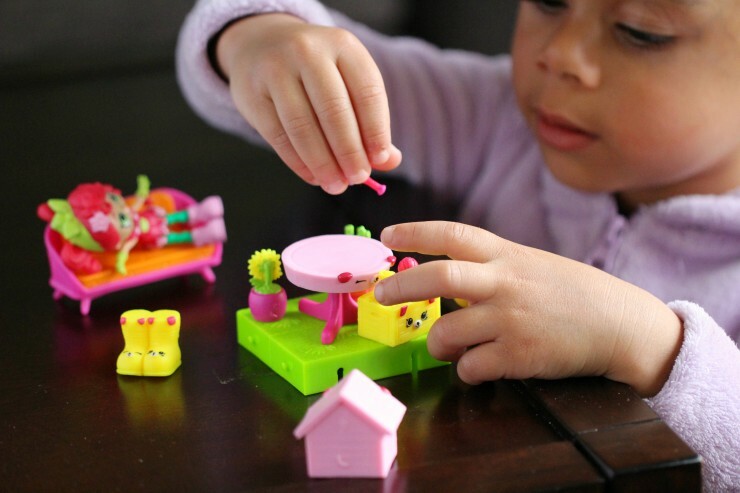 The girls love Shopkins and this Happy Places playset was such a huge hit with them. They love setting up the patio and rearranging it over and over. They even setup a little village with this and a few of their other Shopkins playsets. It is definitely one of those toys that sees a lot of action. 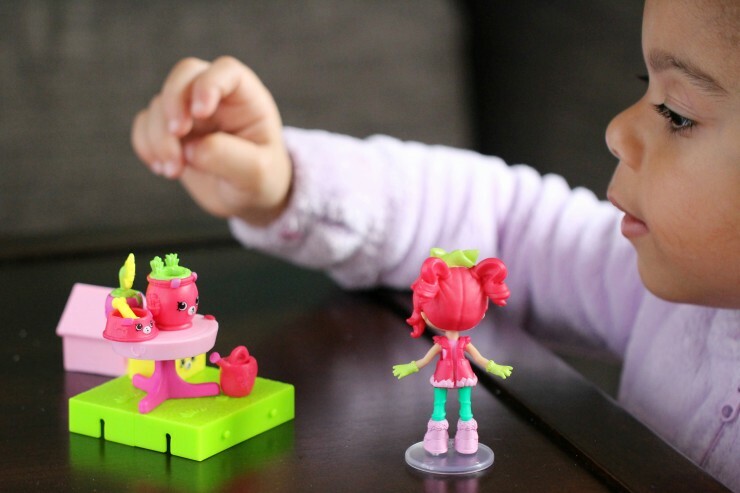 Great pick for any kids who love Shopkins! Walmart is the destination for the season’s hottest toys, no matter your budget! Find the perfect toys for kids this Christmas – at any price. Shop in-store or online on Walmart.ca/ToyAcademy. 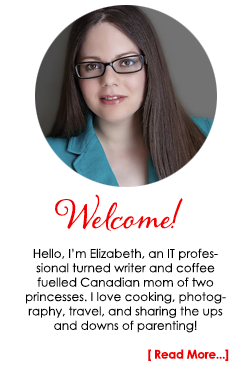 Disclosure: This post is sponsored by Walmart Canada as part of the Toy Academy program. In exchange for this review, I have received special perks in the form of products and/or compensation. 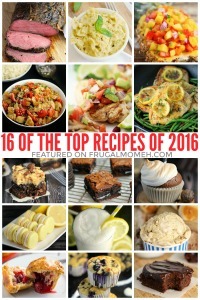 All opinions on this blog are my own. Thanks for the helpful ideas,thanks for sharing! 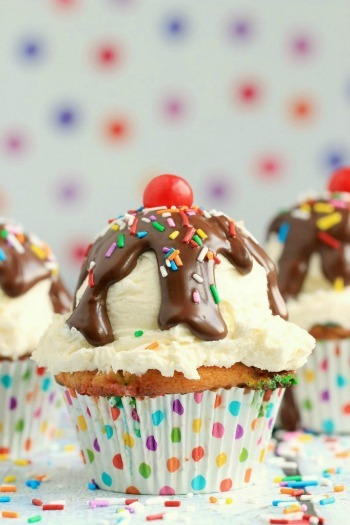 These would make perfect stocking stuffers for my niece and nephew. 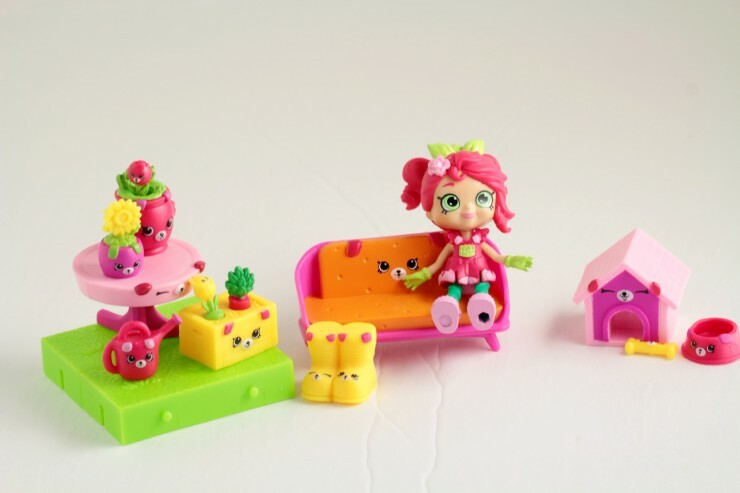 Oh gosh – those shopkins things are super cute! 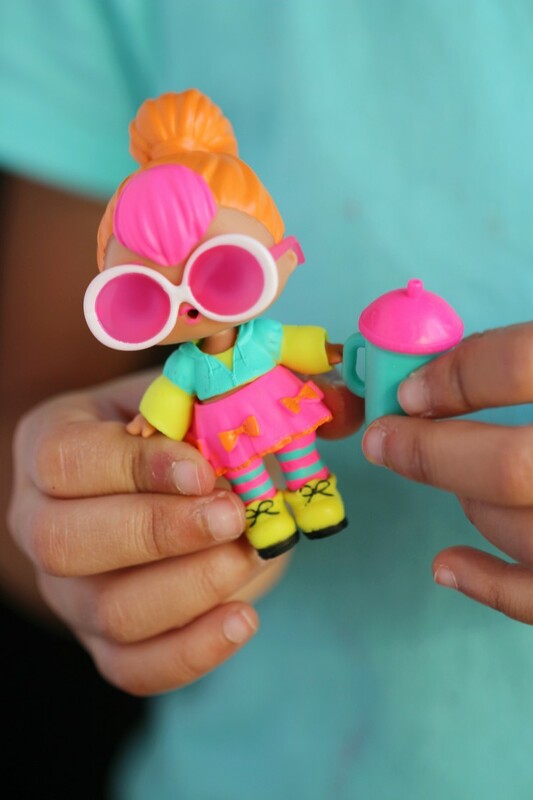 Some great picks here, my kiddo has been wanted an LOL doll! 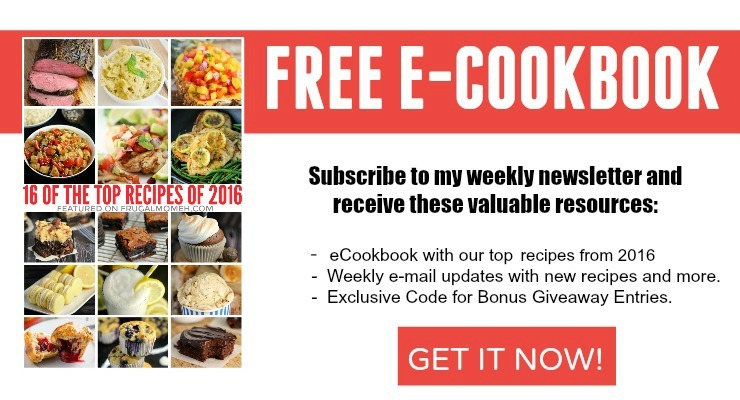 Under $20 is a steal for stocking stuffers. It used to be difficult for me to find enough that weren’t way too expensive, I had 7 stockings to fill!